Walking or cycling to work is better for people&apos;s mental health than driving to work, according to new research by health economists at the University of East Anglia and the Centre for Diet and Activity Research (CEDAR). Experts also found that travelling on public transport is better for people&apos;s psychological wellbeing than driving. Lead researcher Adam Martin, from UEA&apos;s Norwich Medical School, said: "One surprising finding was that commuters reported feeling better when travelling by public transport, compared to driving. You might think that things like disruption to services or crowds of commuters might have been a cause of considerable stress. But as buses or trains also give people time to relax, read, socialise, and there is usually an associated walk to the bus stop or railway station, it appears to cheer people up." "This research shows that if new projects such as London&apos;s proposed segregated cycleways, or public transport schemes such as Crossrail, were to encourage commuters to walk or cycle more regularly, then there could be noticeable mental health benefits." The new report contradicts a UK Office of National Statistics study &apos;Commuting and Personal Wellbeing, 2014&apos;, published in February, which found people who walked to work had lower life satisfaction than those who drove to work, while many cyclists were less happy and more anxious than other commuters. Crucially, this new research looks at commuters who had changed travel mode from one year to the next, rather than comparing commuters who were using different travel modes at a single point in time. The research was carried out by the Health Economics Group at UEA&apos;s Norwich Medical School and the Centre for Health Economics at the University of York. It was funded by CEDAR, a multi-disciplinary collaboration between UEA, the University of Cambridge, and MRC Units in Cambridge. 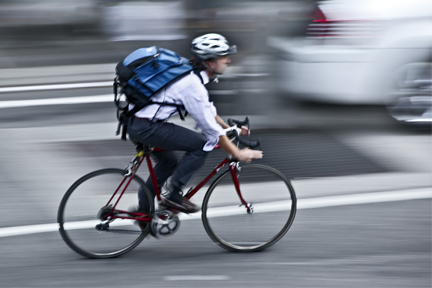 &apos;Does active commuting improve psychological wellbeing? Longitudinal evidence from eighteen waves of the British Household Panel Survey&apos; is published in the journal Preventive Medicine on Monday, September 15.